Hello to everyone out there in the blogosphere! 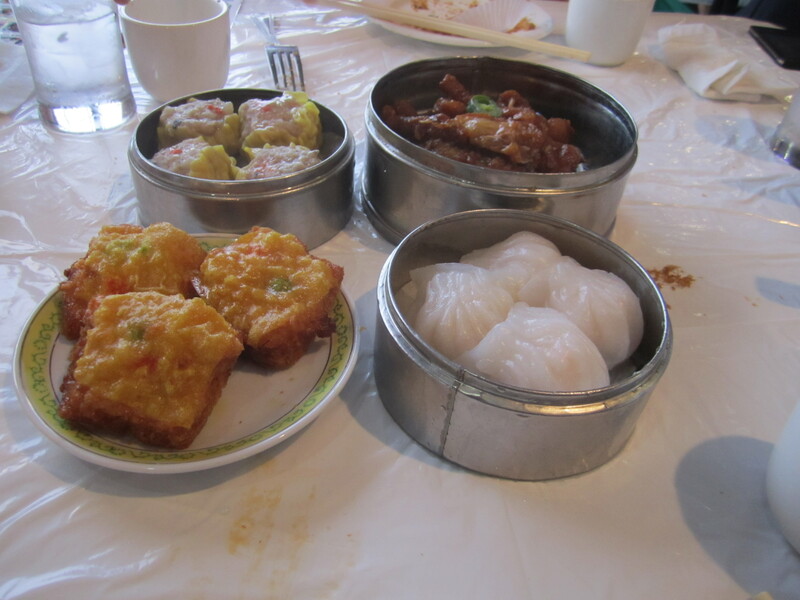 It has been a long time since I last posted on Mastication Monologues, but I have finally emerged from the madness is grad school (actually I’m only in the eye of the storm right now) to bring you a new post about a type of cuisine I have never truly experienced: Dim Sum. When many people proclaim that they enjoy “Chinese food” and then proceed to rattle off such favorites as General Tso’s chicken, orange chicken, or sweet and sour chicken, this culinary adventure I embarked on was the furthest from these Panda Express concoctions. Instead, my good friend David finally fulfilled a promise he made to me a long time ago that he would take me out to an authentic dim sum dinner, and yesterday we finally made it happen. 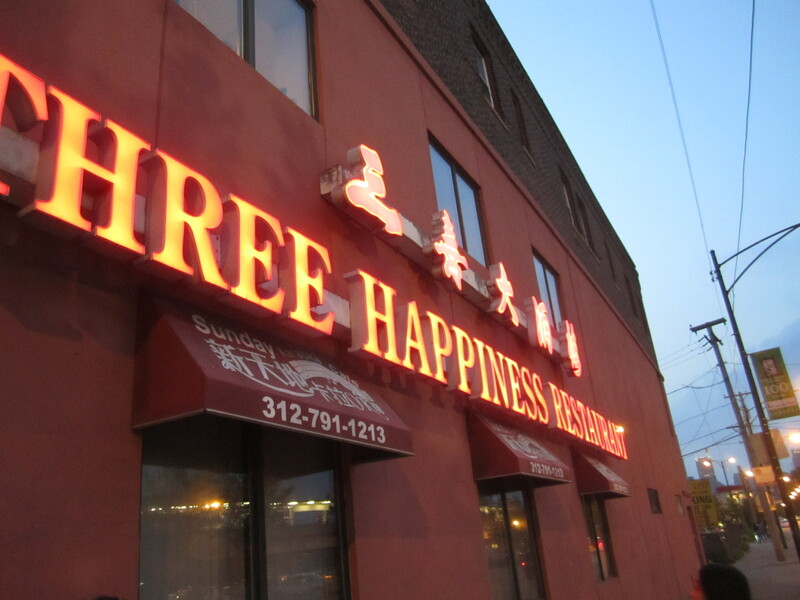 We ended up making our way d own to Chinatown to Three Happiness Restaurant located at 2130 South Wentworth Avenue, Chicago, IL. There is parking available nearby, and the establishment will validate your parking which eliminates a gigantic headache for anyone who has tried to find parking around the city. It was an interesting/surprising coincidence that we were actually going to this specific Three Happiness because I had visited it on numerous occasions when I was just a young little spring roll and yet never had Dim Sum but rather the Pu-Pu platter (oh immature humor). Poop jokes aside, we were promptly seated in the spacious and very clean dining room. The wait staff was very helpful initially with providing us with drinks. I say initially due to a minor incident later on in the meal that somewhat soured the experience, but spectacular food can always make up for service problems. 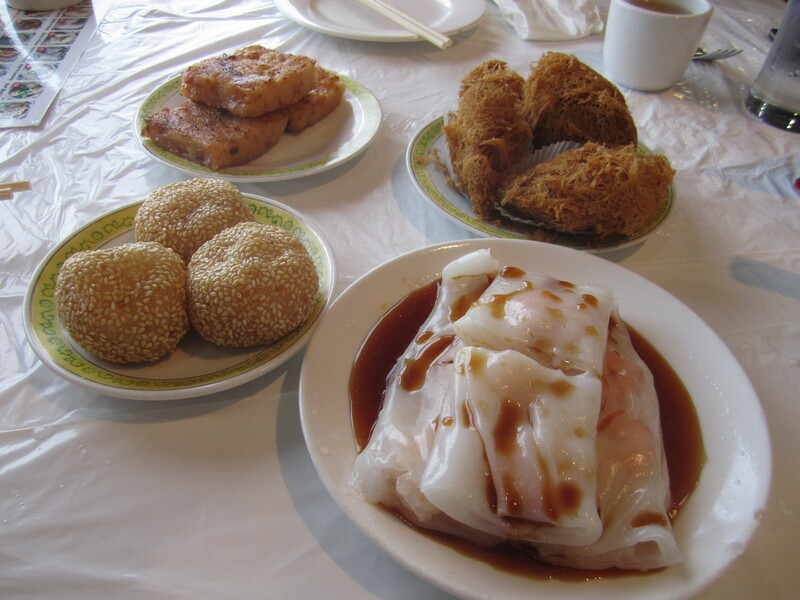 Now, the only previous experience I had with Dim Sum was in the basement of a YMCA during college with the Chinese Student Association, so I only knew of two or three types of plates you could order at Dim Sum. However, my friend David explained Dim Sum perfectly by saying that there are many options to sample yet they’re portions that are just enough to share with friends kind of like tapas in Spain. It was the perfect culinary storm as my love for sampling random foods combined with my affinity for tapas to create a wave of mass consumption that laid waste to all dumplings, cakes, and small watercraft on the table (OK, maybe not that last one). The first round of Dim Sum consisted of turnip cakes, taro root puffs, sesame buns, and shrimp wraps. Our waitress also provided us with a small bowl of chili sauce that looked very dangerous which made me happy. I say happy because I love spicy food with a burning passion. Unfortunately, often times I am disappointed by dishes in more mainstream restaurants that claim to be spicy but in reality are merely smouldering coals instead of raging infernos (i.e. any “spicy Southwest burger/spicy Asian stir fry/blazing chicken wings”). However, realizing that I was in an authentic Chinese restaurant, I knew that they would be bringing the heat especially if I wanted to go Sichuan or get my favorite spicy mustard that makes me feel like I have Rocky Balboa inside my sinuses taking a left hook to the back of my nose. As much as I would like to glorify the wonders of insanely spicy foods, I’m here to write about the Dim Sum. I had already tried turnip cakes before, and the ones here were alright. They were baked with a thin flaky crust and did not have much flavor aside from some potato-esque hints in the aftertaste. The chili sauce definitely kicked them up a notch, Emeril-style BAM!. The taro root puffs interested me as soon as I saw them on the menu, and I was not disappointed. They looked like empanadas sporting very stiff Jheri curls, and biting into one felt like munching on a pine-cone but without the sap/pain and instead a delicious deep-fried flavor. The inside surprised me the most where there was a meat and black bean concoction that was piping hot and quite savory with a flavor that could be most likened to a traditional meatloaf sans ketchup. The shrimp wraps were brought to our table and had a dark brown fish sauce poured over them to provide more flavor, and it nicely complimented the cooked shrimp sleeping underneath their tender rice dough sheets. I saved the best for last: the sesame buns. For some reason, a lot of great food comes in orb form like handmade doughnut holes or even pão de queijo(cheese bread) in Brazilian cuisine, and these sesame buns are no different. They are roughly the size of a golf ball, coated in sesame seeds, and are firm with a semi-sticky texture when you bite into them. The inside also contains a dab of red bean paste, but before you ready your barf bags, fickle eaters, I have to let you know that the paste actually carries a semi-sweet, almost vanilla wafer quality to it. Satisfied with my first round of Dim Sum, we had a second helping. The second round of Dim Sum delights entailed fried calamari, shrimp toast, beef and pork dumplings, and chicken feet. My friend David order the fried calamari with sea salt which made me a bit wary since calamari seems to be more of a hit or miss dish from my experiences. 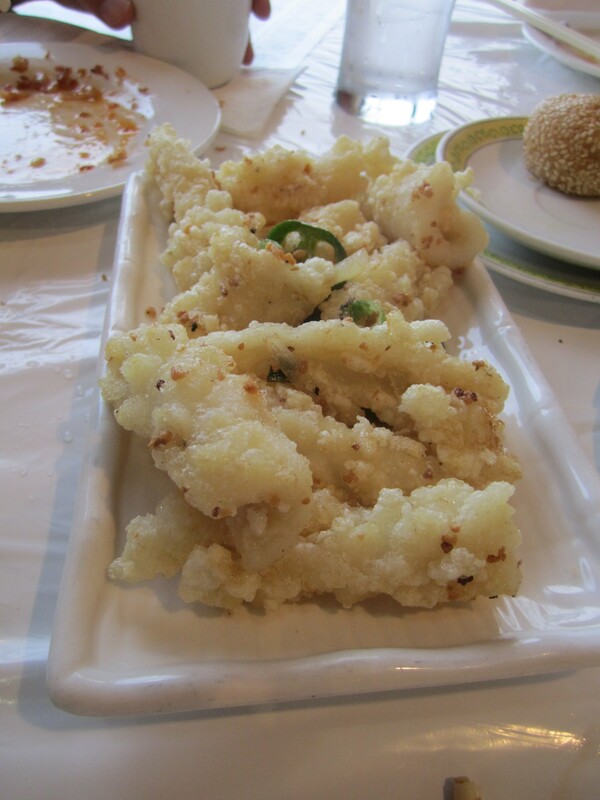 However, I was pleasantly surprised as the squid was tender and the batter was light and was adequately assisted by the sea salt to bring the squid back to its briny roots. I did not know what to expect with the shrimp toast which led me to be pleasantly surprised when it confirmed some of my suspicions with a twist. The shrimp was served whole on top of a slice of bread (like I assumed), but then the whole piece was completely fried which naturally made everything taste fantastic. The beef and pork dumplings were nothing too special with the latter being encased in a thin casing of rice dough and the former looked like meatballs nestled in small pieces of cabbage that actually were chartreuse pieces of dough. The presentation was very nice, and both of the meats were adequately seasoned and in harmony with the starch. Once again, the last Dim Sum choice was the most interesting: the chicken feet. Throughout my food expeditions both in the States and abroad, I have eaten various parts of animals, but I had never tried chicken feet. David informed me that in Chinese, they are literally referred to as “Phoenix talons” (talk about a good marketing scheme through linguistics! ), and thankfully they lived up to their fancy name. They were baked in a soy based sauce that had some sweet elements to give the meat a slight barbecue flavor with prominent black pepper overtones. The actual meat was juicy, falling off the metatarsal, finger-lickin’ good. However, contrary to American customs of deboning any type of meat fit for human consumption (pink slime aside), the Chinese and many other cultures leave all of the bones in their meats to contain the various flavors obtained through the marrow and minerals. Ergo, beware of the tiny bones lurking in the feet! 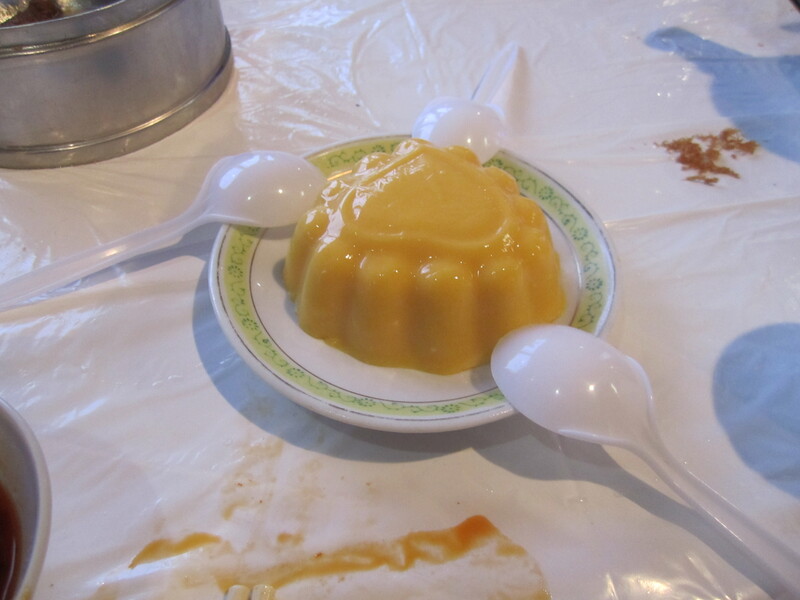 The final movement to our Dim Sum symphony ended with mango pudding which was less like Jello and more like a tropical fruit version of flan without the pool of caramel. Unfortunately, there was a mix-up with our order since we wanted BBQ pork buns for the end of the meal, and they said they were on the way. However, we had to wait at least twenty minutes before they realized that they had made a mistake which kind of put a damper on the experience. 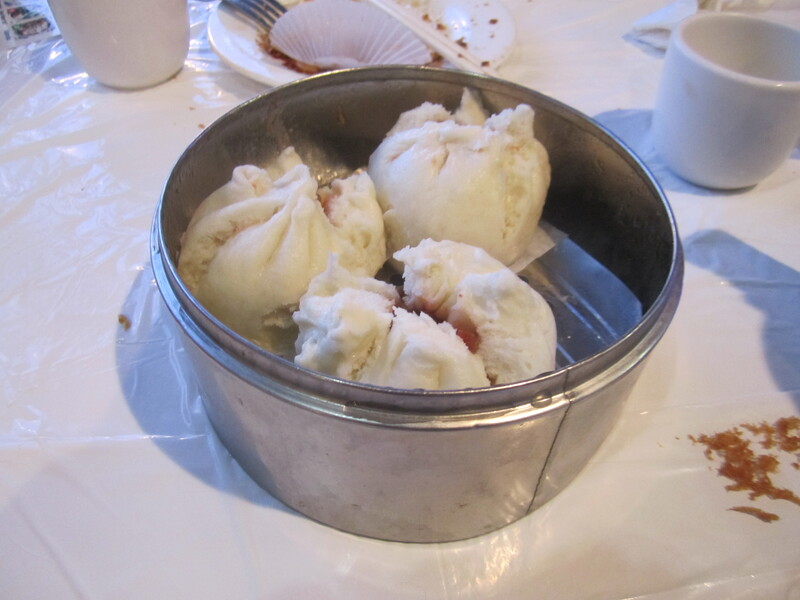 Nevertheless, they eventually brought out the BBQ pork buns, and they were well worth the wait. The dough was thick and pliable, and the pork was neatly cubed and lodged within the dumpling surrounded by a sweet bbq sauce that most likely had a molasses base. In the end, I was greatly satisfied with my Dim Sum experience at Three Happiness. 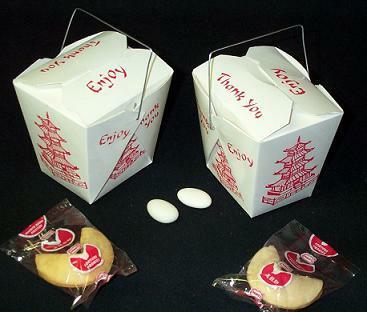 If you are tired of the same old egg roll and fried rice dinner at your local Chinese restaurant, go outside your comfort zone and try some Dim Sum if you have the opportunity to do so. 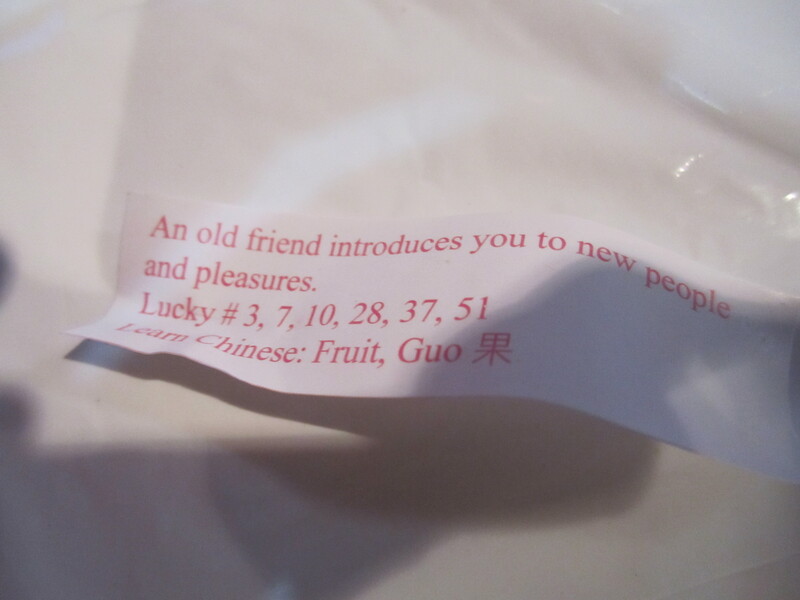 My fortune at the end of the meal definitely came true, and I hope you find your own new adventures and foodie pleasures! 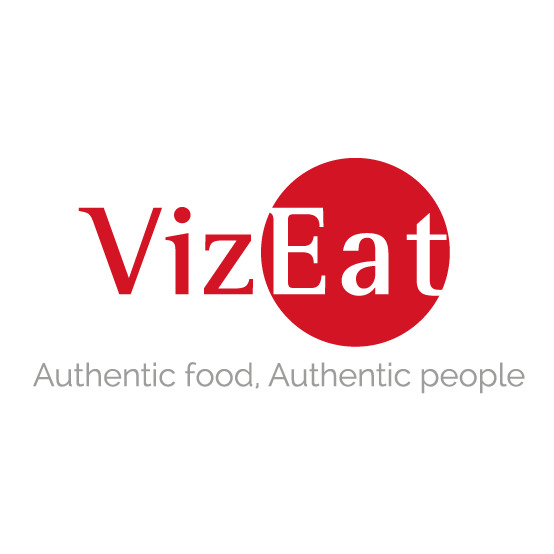 Posted in Chinese, Dim Sum, Far East Asian Cuisine and tagged authentic, Chicago, chicken, Chinese, Dim Sum, dining, Dumpling, empanada, Food, fried, hot sauce, Illinois, restaurants, Reviews, spicy. Bookmark the permalink.